The author of Days of Wine and Roses recounts the story of Dub Johnson, alias Tex Frontere, an amateur prize fighter living in Depression-ravaged Houston, who meets a woman who threatens to be his undoing. 15,000 first printing. Miller, author of the Emmy-winning teleplay Days of Wine and Roses, paints an affecting portrait of life in Depression-era Houston, but his tale of mismatched young lovers rarely transcends the boundaries of the coming-of-age genre. Protagonist Dub Johnson is a plugger, a diligent teenager who gains admission to Rice University despite his family's poverty and the negative effects of a philandering, alcoholic father. But when adolescent sexuality rears its rambunctious head in the person of new-girl-in-town Joy Hurt, Dub loses both good judgment and common sense and embarks on an amateur boxing career to please his libidinous lover. The relationship between the upwardly mobile boy and the girl from the wrong side of the tracks is poignantly rendered, particularly during the novel's final third, as Dub disengages from the affair and Joy's excesses begin to get the best of her. 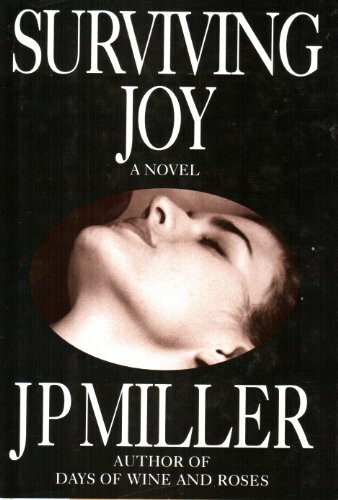 Miller draws strong characters, and his period writing is equally graceful, especially the hardscrabble boxing scenes that adroitly reveal the disparities in the protagonists' backgrounds. But, unfortunately, too many scenes remain formulaic, and ultimately readers will find little here that hasn't been said before. <br />Copyright 1995 Reed Business Information, Inc.
An online bookstore. All books stored in a smoke-free, bug-free, pet-free environment. We take great pride in the condition of our books. Most are in new condition, untouched, unopened. We guarantee that you'll be pleased with your book purchase! All collectible books are shipped in well padded boxes within USA, not envelopes. All books shipped within 24 hours. This is a sole proprietorship, Daniel C. Pope, 35 Avondale Road, West Hartford Conn. 06117, USA. Email: dan.pope@comcast.net. Phone: (860) 232-9930. Media rate shippng is $3.95. Priority rate shipping is $8.95. International priority rate in a box for a two-pound book is approximately $23. Some heavy books might be more to ship overseas. Will overnight express anywhere within USA if you ask first.